Well…. thats the way I choose to see it. We all tell a little white lie every so often. However when it becomes compulsive it may be an issue that needs to be addressed. The reason for compulsive lying is very individual. For many, the most common reason for the behavior is fear of perceived judgement or fear of perceived punishment. 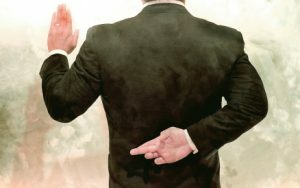 Lying is a way of protecting oneself from the possibility of judgement or punishment, both being a form of rejection. If there has been a constant fear of punishment, the lying may have become a habit and developed as a compulsive behaviour. In some cases it may be a learned behaviour through modeling. Someone else seen as getting away with lying may influence the development of the behaviour.